​Newcastle United have finally broken their long-standing transfer record to sign Miguel Almiron from Atlanta United in a £20m deal. The Paraguayan international had been eager to join the Premier League despite late interest from Serie A sides Napoli and Inter, and though Newcastle had initially baulked at Atlanta's asking price for the midfielder, they've finally completed a deal which has broken their transfer record in the process - £16.5m for Michael Owen in 2005. Almiron, 24, was Benitez's first choice target this window, following his instrumental efforts in helping Atlanta United to the MLS title. He contributed 22 goals and 21 assists as the Five Stripes won the title, and possesses elite pace and dribbling ability that should excite the St James' Park faithful. Almiron's signing is another positive development for the ​Magpies, who defeated reigning Premier League champions Manchester City 2-1 on Tuesday evening. For Newcastle fans, MLS guru Marc Connolly tells me Almiron is “a joy to watch”. Dribbler, creator, scorer. Inspired Atlanta to the title. 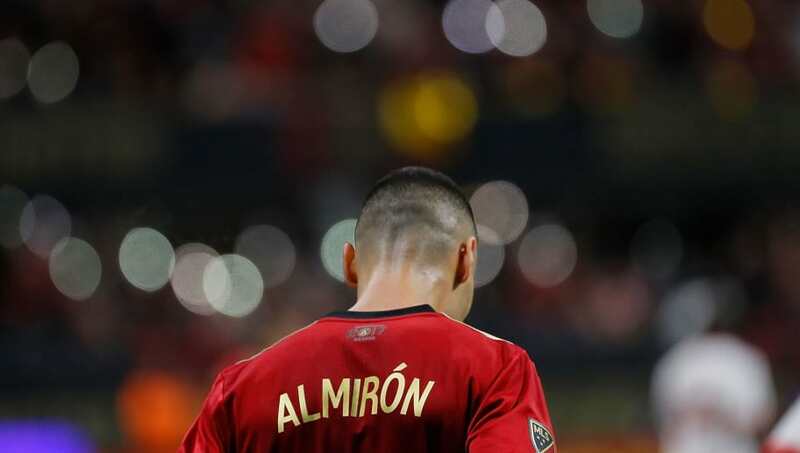 In a statement on the club's website, Almiron said: "I’m very happy and eager to start and to meet my new team mates. The league is very competitive, this is a historic club, and Rafa Benitez himself were the main reasons why I am here now. Almiron to come in for £20M, then Barreca on loan and possibly Samaris. Decent, but only that. It gives Rafa something to work with and our #NUFC squad some new elements. But Rafa also wants heavy investments in Benton, the Academy and free access to club generated funds. Benitez added: "We were following Miguel Almirón for a while, and we saw a player with some pace in attack, who can play behind the striker. We have someone who can score goals and give assists. We know that MLS is a different challenge to the Premier League but he has the potential to do what we are expecting, and what we need.